Dunkin' and Harpoon Brewery have officially released their anticipated fall malt beverage: The Harpoon Dunkin' Coffee Porter. The porter premiered Sept. 27 at Harpoon's Dunk-toberfest. Beginning Monday, the porter will be available throughout the fall, in 12 ounce bottles and on draft at select retail locations across the Eastern United States. According to Dunkin', the porter is 6 percent alcohol and is "a malty tasting brew with aromas of espresso and dark chocolate." "Our brands have such passionate, loyal fans who start their busy day with a cup of Dunkin’ coffee and end it by enjoying one of Harpoon’s famous craft beers," said Tony Weisman, Dunkin' U.S. chief marketing officer. "We're thrilled to now finally bring the two together, partnering with one of the most respected craft breweries in the country to offer coffee lovers and beer enthusiasts alike a classic new taste to celebrate the season." 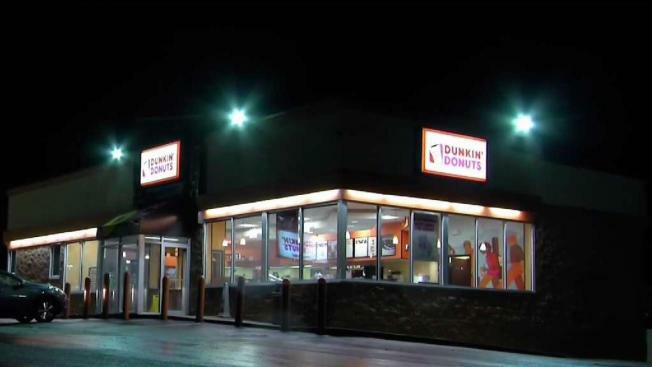 The partnership is the second time Dunkin' has worked with a brewery, with the first being Worcester-based Wormtown Brewery. To find a Dunkin’ Coffee Porter near you, go to the Harpoon Brewery beer finder website.